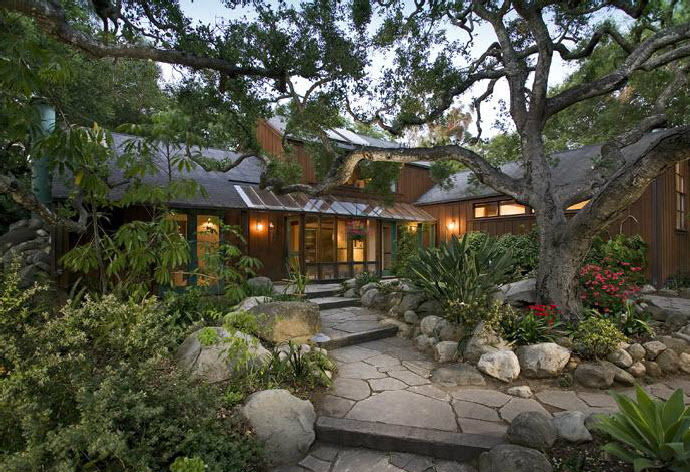 Nestled at the end of private lane, this extraordinary wood & glass contemporary home offers a peaceful setting among magnificent oaks. 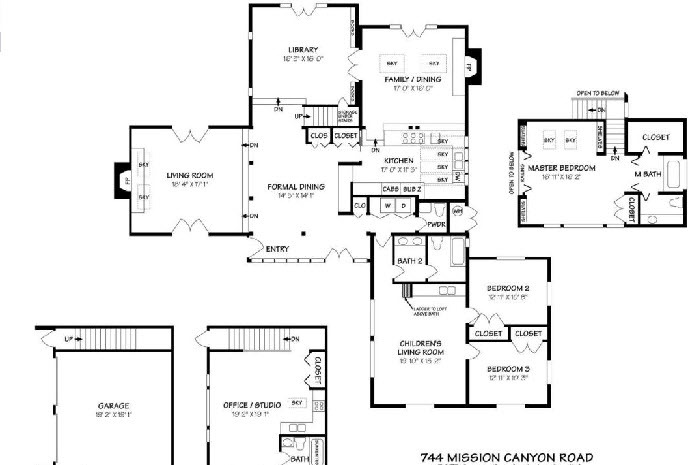 3 bedroom & 2.5 bath main house features formal dining, kitchen with excellent appliances, family room, library, children’s wing, cathedral ceilings, stone fireplaces, & skylights. There is also a detached guest apartment, 2-car garage, & lush landscaping.